Sophisticated sweet. 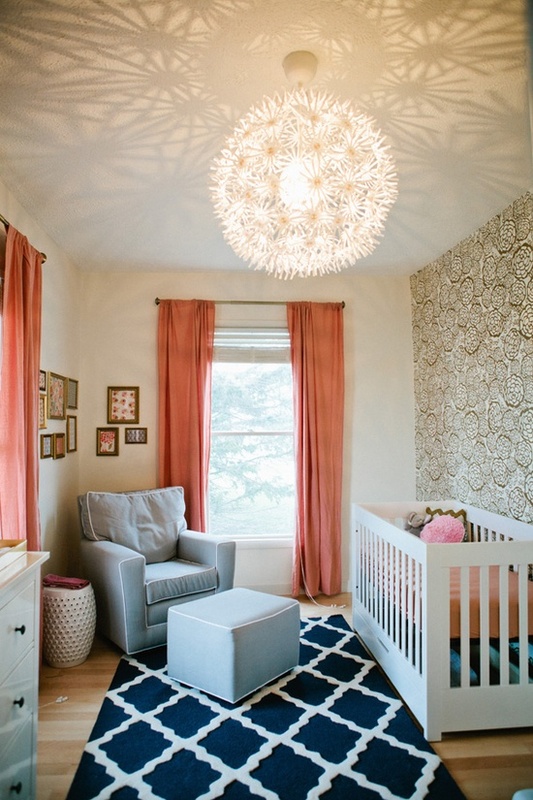 I bet that lamp casts an awesome glow at night. 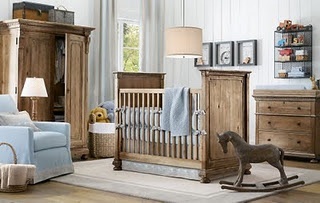 Just love everything about this room for a little boy. 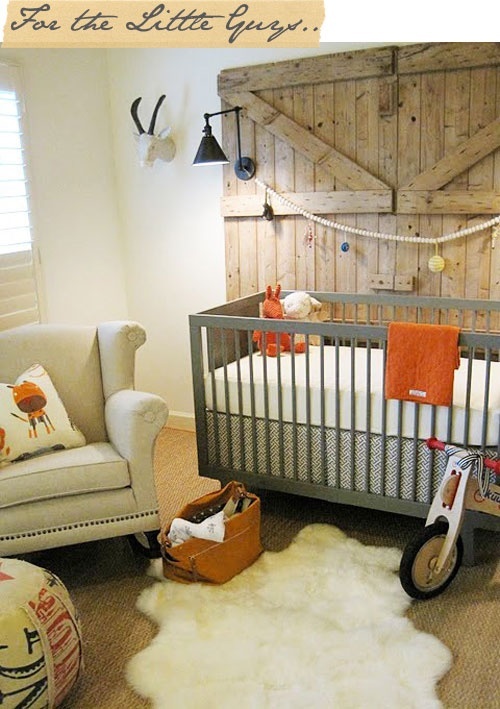 Classy nursery with a wooden rocking chair. Could very easily switch accessories out for pink. Very manly for a little guy. 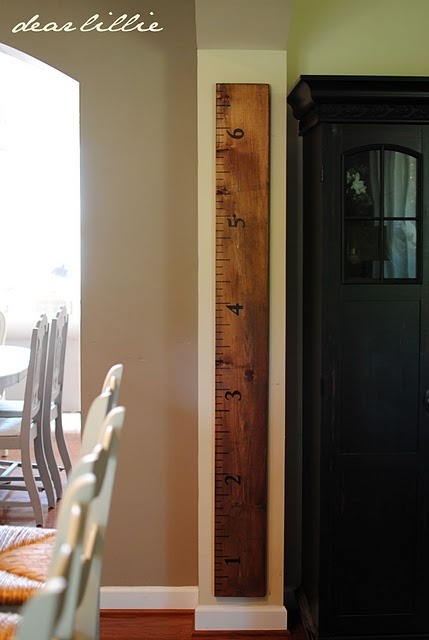 Cute idea for measuring your child over the years and you can take it with you if you ever move! 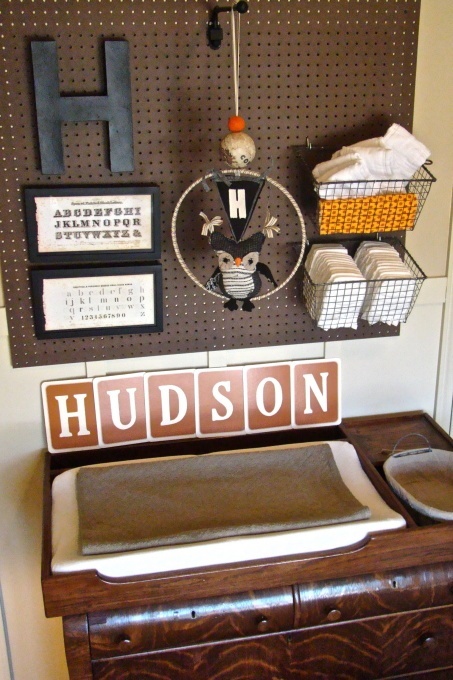 This entry was posted in Room Files and tagged Nurseries. Bookmark the permalink.